‘History has a way of repeating itself in financial matters because of a kind of sophisticated stupidity,’ John Kenneth Galbraith once wrote. In this superb new book, Ross Buckley suggests that the stupidity identified by Galbraith can be traced to the persistence of an inadequate legal system for the regulation of international finance − a system rooted in the failure of economists and investors to take the legal demands of real-world finance seriously. Everywhere, trade is glorified while finance tends to be taken for granted. Yet financial flows far exceed trade flows, by a factor of over sixty to one; international financial transactions represent a far greater proportion of the practice of most major law firms than do trade transactions; and international finance, when it goes wrong, brings appalling suffering to the poorest citizens of poor countries. the national balance sheet problem. 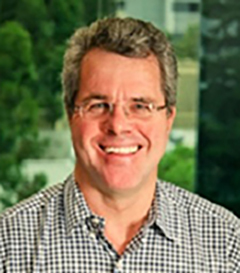 Professor Buckley’s far-reaching recommendations include details of tax, regulatory, banking, and bankruptcy regimes to be instituted at a global level. 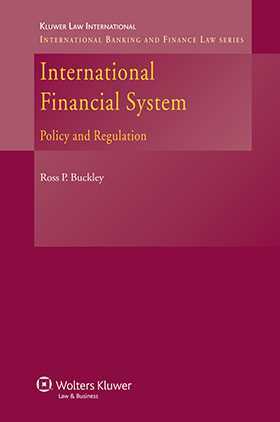 As a general introduction to the international financial system and its regulation; as a powerful critique of the current system’s imperfections; and most of all as a viable overarching scheme for an international finance law framework soundly based on what history has taught us, International Financial System: Policy and Regulation shows the way to amending a system that repeatedly sacrifices the lives of thousands and compromises the future of millions.